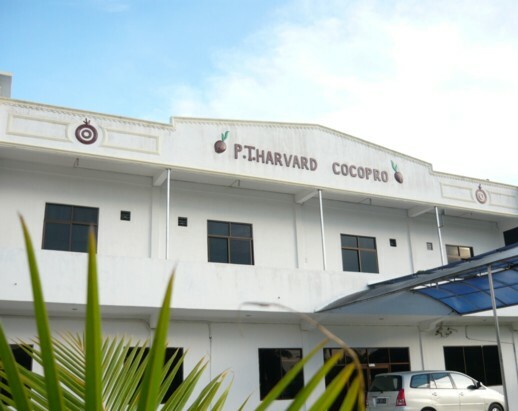 We are the manufacturer and exporter of quality coconut products such as Desiccated Coconut, Creamed Coconut (Coconut Concentrate), Coconut Cream, Coconut Milk, Virgin Coconut and Coconut Water under the brand "COCOPRO". We do provide private labelling service and are providing to some of the well-known brand names. We are among the largest coconut products manufacturers in Indonesia and are exporting our products to most parts of the world. Please feel free to contact us now! Where ever you are in the world, contact us. Creamed Coconut or known as Coconut Concentrate is the unsweetened dehydrated fresh meat of a mature fruit of coconut ground to a semi-solid white creamy paste. Creamed Coconut is suitable for consumption without the need for further processing. Please do not confuse between Creamed Coconut and Coconut Cream. Coconut Cream has maximum moisture content of 74.6% whereas Creamed Coconut has moisture content of 3% maximum, hence the name Coconut Concentrate. Creamed coconut (Coconut Concentrate) is creamy white colour and tastes rich, creamy and mildly sweet with the essence of coconut. Coconut Cream (or known as Cream of Coconut) is a rich, smooth, thick liquid squeezed out from the fresh meat of a mature fruit of coconut. It is creamy white in colour, thick and has mild sweet taste of coconut. One large nut is expected to squeeze approximately 200ml of Coconut Cream. Coconut Cream has maximum moisture content of 74.6% whereas Coconut Milk has 87.3%. Coconut Milk is not the “juice” found inside a coconut. The “juice” found inside a coconut is known as Coconut Water. Coconut Water is water clear in colour, a refreshing and cool drink. Whereas Coconut Juice is coconut milk drink derived from Coconut Milk. 1. Quick drying of fresh coconut meat, which is then used to extract the oil by mechanical means. 2. Wet-milling method. Coconut milk first is extracted from fresh coconut meat by mechanical pressing. The oil is then extracted from coconut milk by way of boiling, fermentation, refrigeration, enzymes or mechanical centrifuge.